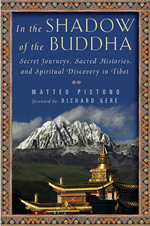 Part spiritual biography, part nail-biting undercover reporting, In the Shadow of the Buddha brings together Pistono?s quest to uncover long-hidden spiritual truths and real-time violations of religious freedom in Tibet. For nearly a decade, Matteo Pistono secretly carried out of Tibet evidence of atrocities by the Chinese government, showing it to the US government, human rights organizations, and anyone who would listen. Yet, Pistono did not originally intend to fight for social justice in Tibet?he had gone there as a Buddhist pilgrim. Disillusioned by a career in American politics, he had gone to the Himalayas. 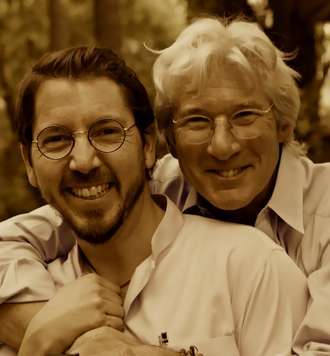 After encountering Buddhism in Nepal, Pistono?s quest led him to Tibet and to a meditation master whose spiritual brother is Sogyal Rinpoche, bestselling author of The Tibetan Book of Living and Dying. 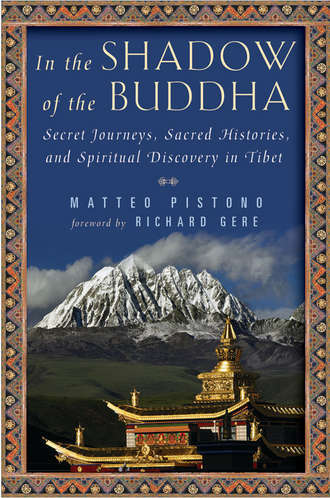 Pistono not only became the master?s student, but also couriered messages to him in Tibet from the Dalai Lama in India. This began an extraordinary, and ultimately vital, adventure. In the Shadow of the Buddha is a book about Tibet through the eyes of a devotee?a stranger hiding in plain sight. It?s about how a culture?s rich spiritual past is slipping away against the force of a tyrannical future. It?s about how Tibetans live today, and the tenacity of their faith in the future in spite of dire repression and abuse. It?s also about Pistono?s own journey of merging political activism with Buddhist mysticism, a man who traveled thousands of miles and risked his own life to pursue freedom and peace. religious freedom. He knows the territory well, and it shows in both the grit and scope of his narrative. In the many years and many places that I?ve known him, from India to Washington, Matteo has remained an informed, reliable, skillful, and joyously energized individual. He is a true student of Buddhism, and has had the great fortune of having received significant teachings from some of the world?s greatest teachers, including His Holiness the Dalai Lama, Sogyal Rinpoche, and the late Khenpo Jikm? Phuntsok inside Tibet?a rarity indeed. The book you hold in your hands is the story of how great spiritual practitioners from Tibet, like the mystic Tert?n Sogyal, and the thirteenth and fourteenth Dalai Lamas, are able to bring the full force of the bodhisattva commitment?the burning desire to free all beings from suffering?into whatever situation they face, including the world of politics. The experiences Matteo writes about in this context are often esoteric, but never less than deeply human. He speaks to us of the vital importance of a complete commitment to nonviolence and of an insistence, as Gandhi used to say, on the truth?the profound truth of interdependence and selflessness?as the only doors that can lead us and others to genuine happiness. For Matteo, the world of politics only has meaning when motivated by a selfless compassion, at which point politics and social action can themselves become a powerful spiritual practice. And just look at the difference between them.